On sale! Hearts and ruffles are a perfect combo for this triple treat! 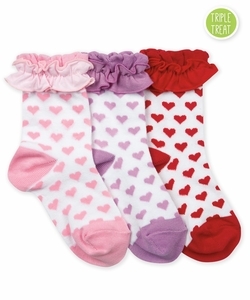 This style is a three pair pack so you get one pair of each color.